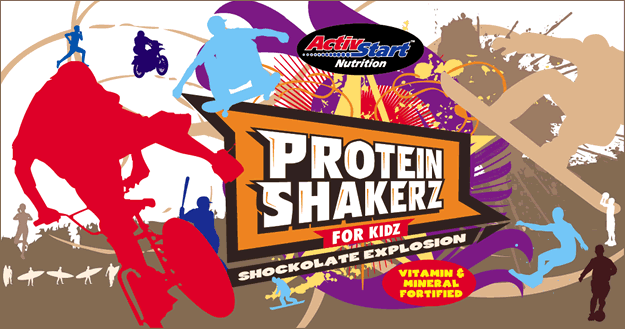 Bioplex Nutrition hired Train of Thought to design the label for their whey protein product for kids, called Protein Shakerz. Everything about the product specification called for edgy, but not over the top, which gave us the idea to break the often rigid rules of label design. There are some things you can’t do, but we did the things we could, partially obscuring the logo, creating “imperfect” imagery, and making non-mainstream sports the more dominant images in the mix. We also created a custom typeface for the product logo.